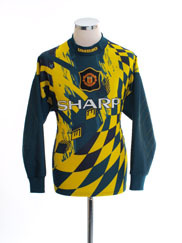 The Red Devils seem to have attracted almost as many column inches discussing their kits as they have regarding their football. 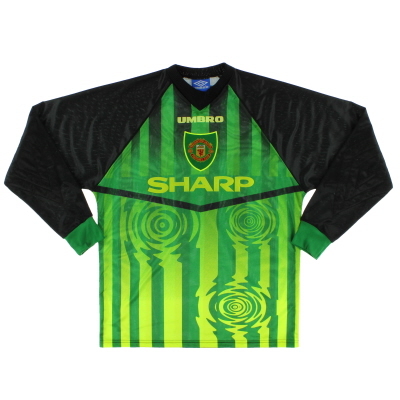 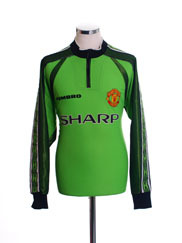 Even today their kits are in the news as thousands of supporters regularly don replica versions of the yellow and green halved jerseys worn by the team in their Newton Heath days as a mark of protest against the Glazers’ continued ownership of the club.But it is United’s regular combination of red football shirts, white shorts and black socks that are known and feared throughout football. 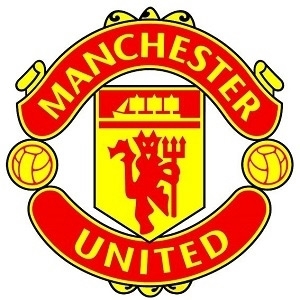 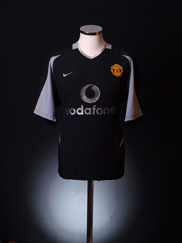 The club first wore the strip in 1902 which coincided with their name change to ‘Manchester United’, and apart from, most notably, a five year period in the 1920s when they pulled on all white kit with a large red ‘V’ on the chest, it has been sported by the Old Trafford side pretty much ever since. 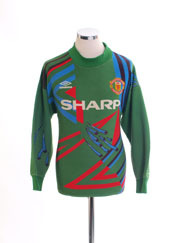 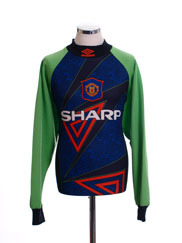 The club have always paid great attention to their kit. 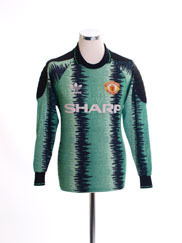 In 1955 they were one of the first, if not the first, to wear new continental-style lightweight V-neck shirts and the side still regularly switch to black shorts away from home if a shorts colour clash occurs. 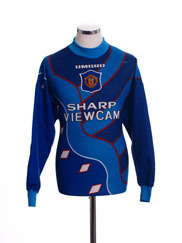 Of late, under Sir Alex Ferguson’s guidance, they have also started wearing white socks in evening games, especially in Europe, with the colour deemed to be more visible under floodlights than black. 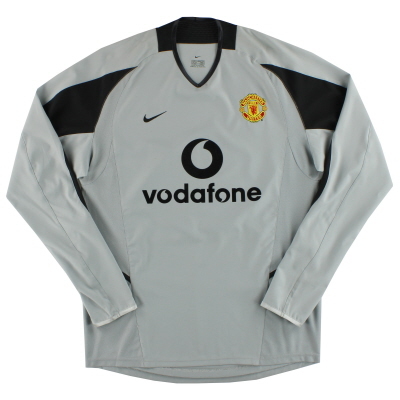 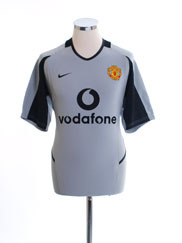 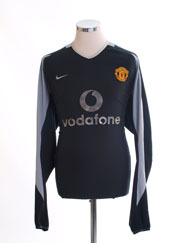 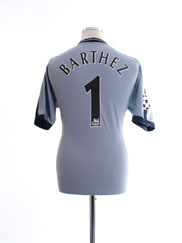 White is United’s traditional away colour, although blue has often also been worn. 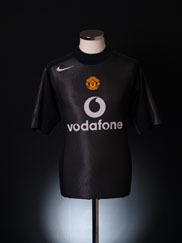 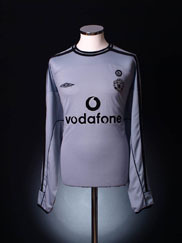 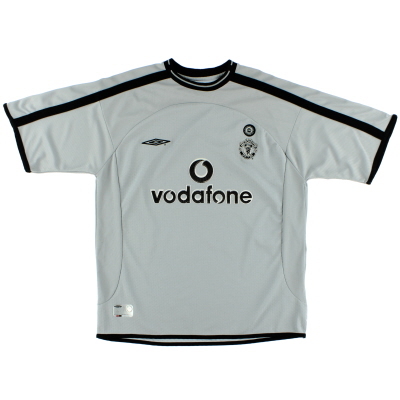 The club’s infamous grey invisible away kit from the 1995-96 season has gone down in kit folklore after Fergie, during a match at Southampton with the Red Devils losing 3-0, claimed that his grey-clad players couldn’t see each other on the pitch and demanded that the team switch to their blue third kit at half time. 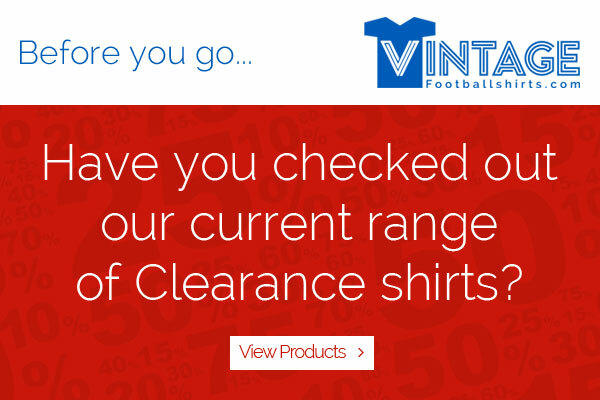 It made no difference and the Saints still won the game. 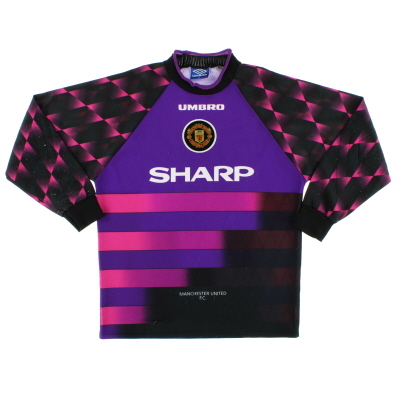 Sharp Electronics were the club’s first sponsor in 1982 and remained with the club for an incredible 18 years.